Tired of £6 pints in zone 2 craft beer bars? Make a break for the suburbs and try some of the capital's most unusual boozers in our south east London Micropub Crawl. Micropubs are usually one-room bars that concentrate on the basic art of selling real ale from the cask. There's no music, phone calls are sternly discouraged, and you'll get a filthy look if you ask for a pint of (commercial) lager. Many have branched out and will sell you fine wines and ciders too, and maybe even a pie or two. This crawl links six micropubs, starting in Crayford, in the wilds of zone 6, and ending at Eltham. You could start earlier at the seventh, One Inn The Wood in Petts Wood, and head from there to Crayford by train (change at Hither Green), but we've kept it to six for an easier crawl. We've given some suggested times which should give you plenty of time to get between the pubs and grab food in between. So, hop on a lunchtime train to Crayford, walk up Station Road, turn left at the roundabout into Crayford Road, and you'll soon see Cray Gardens on your right. You'll find our first micropub facing the green. 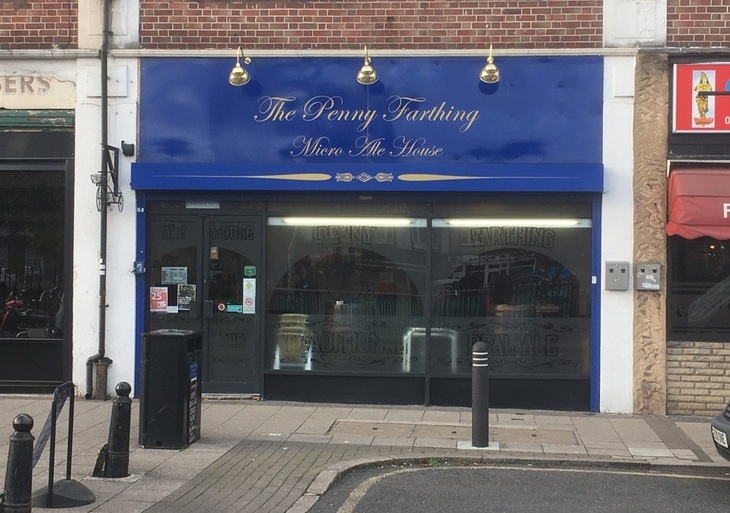 A former cycle shop, The Penny Farthing was opened by Bob and Bev Baldwin in September 2014. 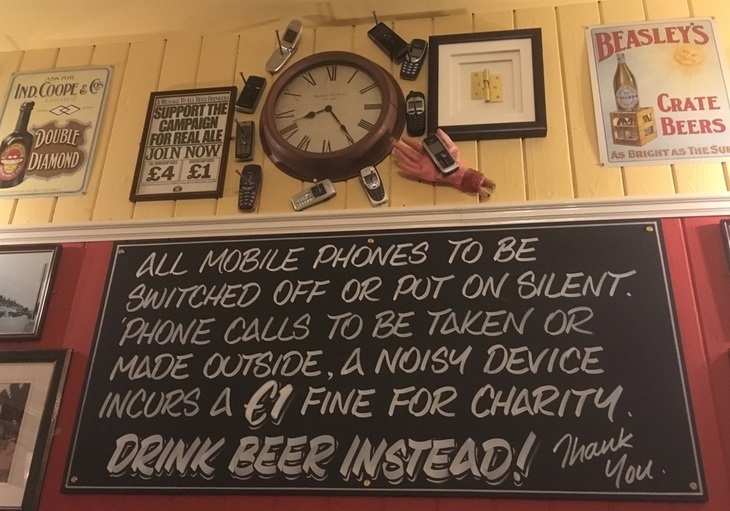 Bob and Bev are old hands at the pub trade, and used to run the nearby One Bell (now owned by former footballer Jimmy Bullard). They're friendly hosts with a good range of ales and ciders, so this is a perfect introduction to how micropubs work. Ready to move on? Hop on a 492 bus towards Sidcup from stop X in Crayford High Street. It only runs every half an hour (25 and 55 past each hour) and is a 45-minute trip, so we'd suggest taking the 2.55pm bus. Sit upstairs, take in the views of fields, and keep an ear out for the stop at Church Road, Sidcup. The Hopper's Hut is one of two micropubs in Sidcup, and only opened in October 2016. 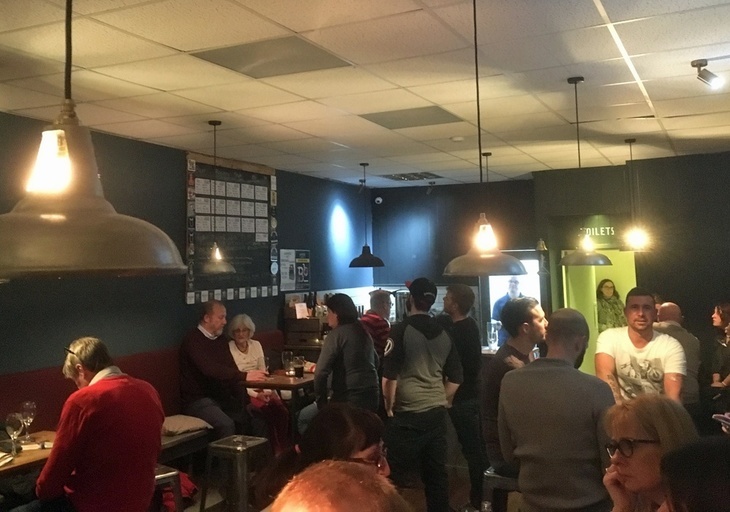 Former teacher Murray East, who founded the bar with Rebecca Tippett, also helped set up Brew Buddies, a microbrewery in nearby Swanley Village, so you may find some of its beers on offer. When we arrived, the bar was busy with a mixed crowd of people from real ale fans to families meeting up for a chat. Again, there's a good range of beers (many from London breweries) and ciders available, as well as wine (from Chapel Down and Redhill), when we visited. Head back to the Church Road bus stop and jump on a 51 for a few stops, getting off at Old Farm Avenue. You could walk it if you're feeling energetic. At the other end of Sidcup is The Hackney Carriage. When we popped by, it was doing a roaring trade, with a friendly dog wandering around at our feet. It was opened in August 2016 by ex-letting agent Liz Twort — the career of her husband Mark, a taxi driver, was the inspiration for the bar's name. The Hackney Carriage has the most extensive range of drinks on our crawl — you can get spirits and prosecco as well as ales and ciders. Along with The Hopper's Hut, it fills a once yawning gap in the market for a decent pub in Sidcup. Back to the Old Farm Avenue bus stop and back on the 51, this time getting off at Wellington Avenue/Blackfen Road. Cross the main Blackfen Road, past the George Staples, and you'll find our next pub on the left. 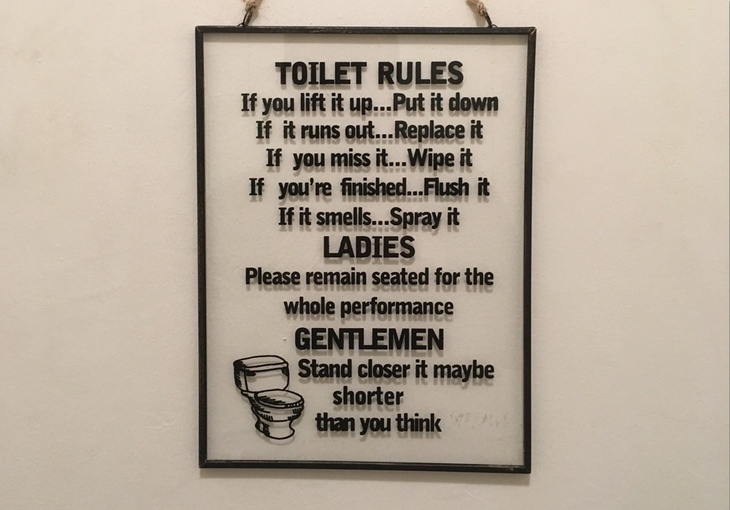 Hygiene is taken seriously at The Broken Drum. This might be the least likely location for a cracking boozer — in a shop unit opposite a huge Co-op, next to the roaring A2. 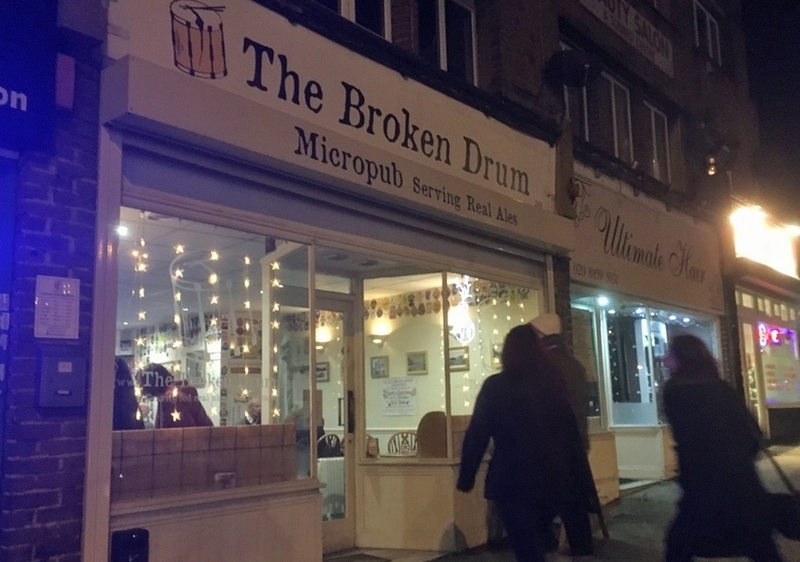 At first, being in The Broken Drum feels a little like drinking in a shut-down shop (this used to be a nail bar) but you'll soon feel at home. 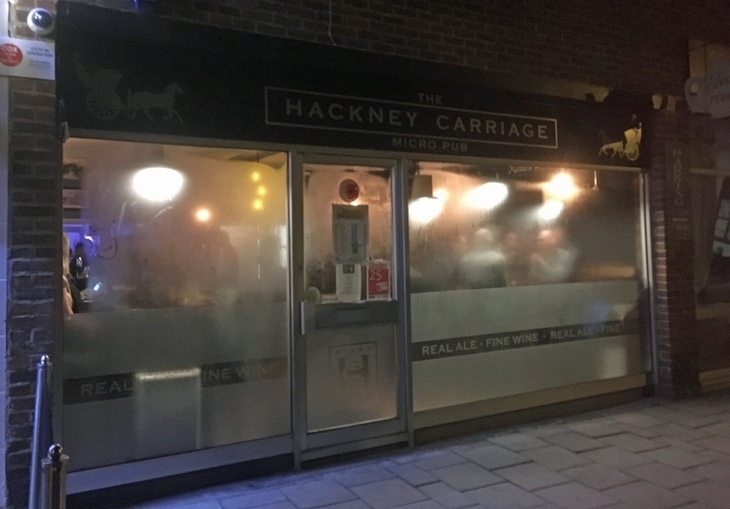 Opened by former computer programmer Andy Wheeler in April 2015, this is where The Hackney Carriage's Liz Twort learned her trade; a reminder that the south east London micropubs are part of a thriving and supportive community. Head back to the Wellington Avenue bus stop. This time, take the 51 to Bellegrove Road/Churchfield Road in Welling. Turn back on yourself and walk back down Welling High Street; The Door Hinge is on your left, just past the grotty-looking Rose & Crown. Hear hear, The Door Hinge. Cross the road to the Guy, Earl of Warwick bus stop (outside Welling United FC) and take a B16. It only runs every half-hour in the evening, at 25 and 55 past each hour (we'd suggest the 8.55pm). After a tour of Welling's back streets, get off at Eltham Park Methodist Church. Reading material at The Long Pond. For our final pub, we've left Bexley borough, entering Greenwich borough to visit The Long Pond in Eltham. Some of the neighbours complained when Michael Wren gave up his career in the City to open up here — this is in the heart of an Edwardian estate built by philanthropist Archibald Corbett, with covenants against opening pubs. But the council backed the idea, and The Long Pond is a real gem, selling beer, cider and wine in two — yes, two — rooms and attracting a loyal following. 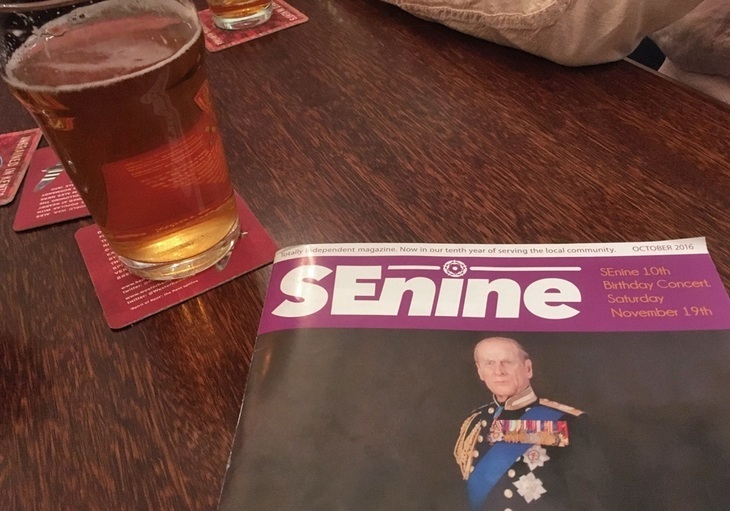 If there are seats free, take a seat in the cosy back room, congratulate yourself on finishing the crawl and raise a toast to Michael, Ray, Andy, Liz, Murray, Rebecca, Bob and Bev — London's micropub pioneers. The Long Pond shuts at 11pm. Feeling lost after a day's pub crawling? Eltham station's 15-20 minutes' walk away for trains to Victoria and Charing Cross, or you can take a 132 bus to North Greenwich tube from opposite Eltham station.